In the heat of the summer, a tough work out often means sweaty horses, tired muscles, and hot legs. Absorbine® has been soothing aches and pains with liniment for more than 125 years, and their latest innovation is a refreshing approach to cooling horses down. 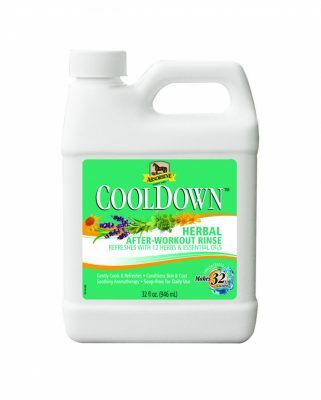 CoolDownTM is a new herbal after-workout rinse made with 12 herbs and essential oils to gently cool and refresh.